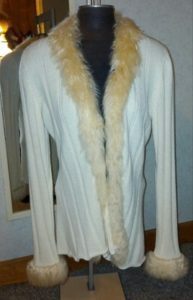 All alpaca sweaters are now discounted 25-50%. 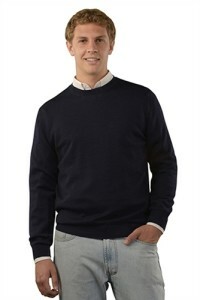 We have a wide selection of 100% Baby Alpaca Sweaters for men and women available in our shop and online. Our sale sweaters are available in the store and online while supplies last. 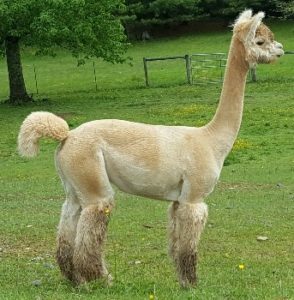 Peaceful Heart Alpacas was happy to welcome our last spring 2016 alpaca cria to the farm on July 2. 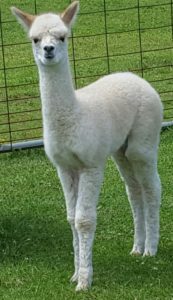 This sweet boy is the first cria of our white champion girl Wild Bells. 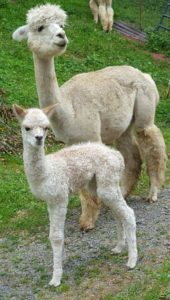 He is also the first grandson of our champion herdsire Lord Tennyson to be born on our farm (though Bells’ half brother Becket sired a cria off the farm a few months ago). 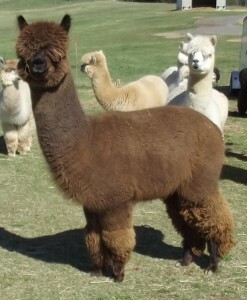 Gandalf’s sire, like Star Sapphire‘s sire, is a multi-Champion male from Dreamland Alpacas. Sheer Galaxy is particularly known for consistently passing on his wonderful fleece and conformation to his offspring, having won at least 8 Get of Sire competitions across the country. David took one look at Wild Bells and Sheer Galaxy’s son, and named him Gandalf. The rest of the family had ideas too, but the eyebrows were the deciding factor while we debated names, as David presented us with the following quote from The Hobbit, “Gandalf looked at him from under long bushy eyebrows that stuck out further than the brim of his shady hat.” They are pretty impressive eyebrows. Gandalf has fit in well with Star and Hawkeye. 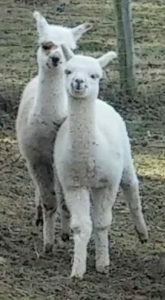 The three of them love to run around the pasture in the evenings, and you can often catch Hawkeye and Gandalf wrestling. Despite being 5 weeks younger, Gandalf holds his own in their competitions, and often is the one to start the wrestling. 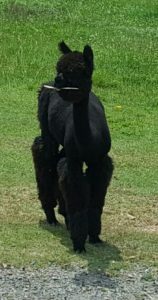 We invite you to come by the farm to see the spring crias located in the pasture near the store. Our sweet MJ (Maximum Joy) moved to a new farm in June, joining his buddy since birth, Hercules. (You can see a picture of them as crias to the right.) 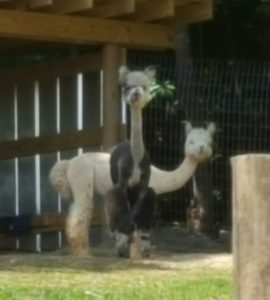 Hercules had moved with another alpaca to his new farm last year, and was very excited to welcome MJ this summer. The two of them are having a great time hanging out and playing together again. 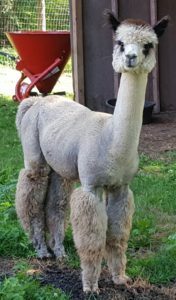 Another sweet alpaca is getting ready to join her former pasture mates this month. Delightful Rain will be moving to join Christmas Snow, Snickerdoodle Twist, Summer Love and Rain’s grandmother Henrietta Ruth on their new farm. We know she will be happy to join this new farm and be a part of this fabulous fiber herd. 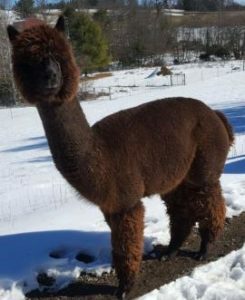 We have recently updated our alpaca sales list, and have some wonderful male and female alpacas for sale at incredible prices. 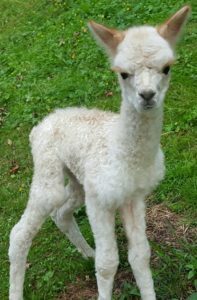 Take a look at our alpacas, and give us a call to set up an appointment to meet them and discuss which are the right alpacas for you.